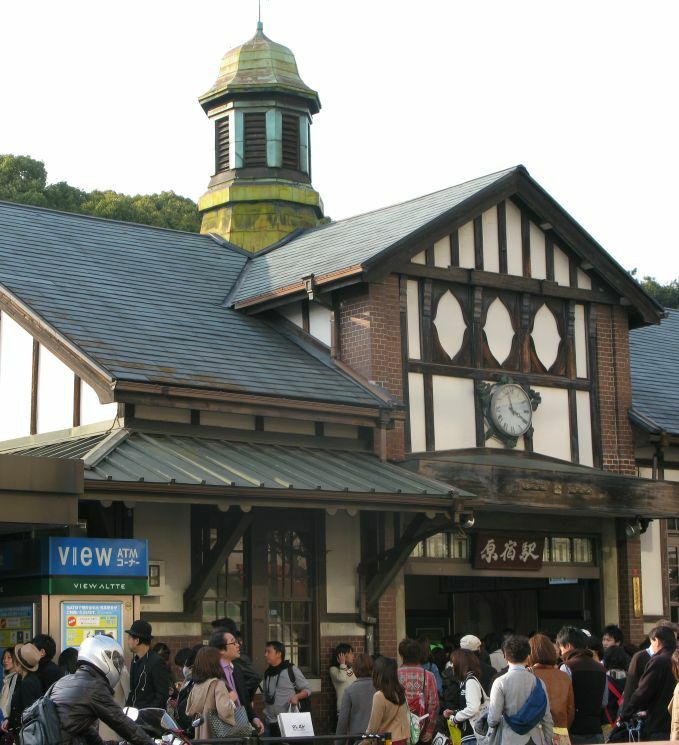 We are now going back to Harajuku station where we originally got off. I am standing on the right waiting for Mai and Thierry. It was cold and I think it was sprinkling! Good think I have a hooded jacket. 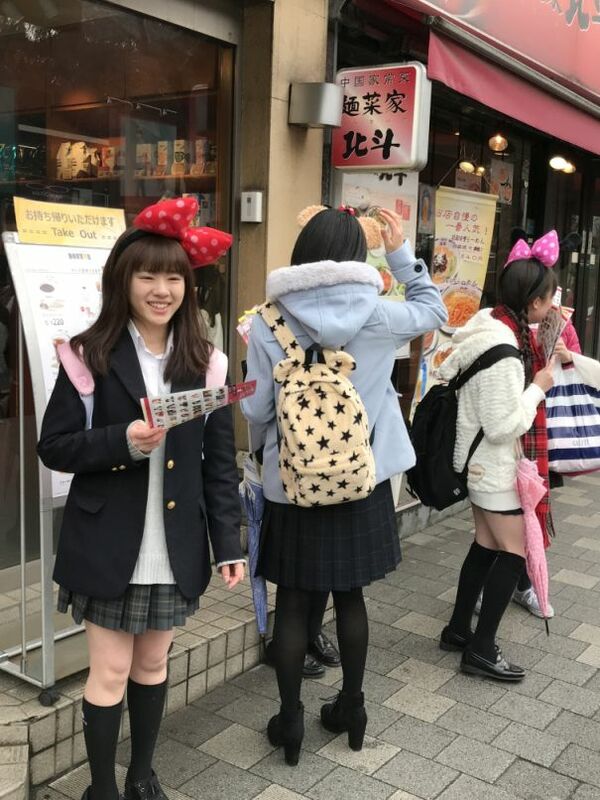 We are now walking toward the famous Takeshita street which is a pedestrian shopping street lined with fashion boutiques, cafes and restaurants from walking distance of the Harajuku station. 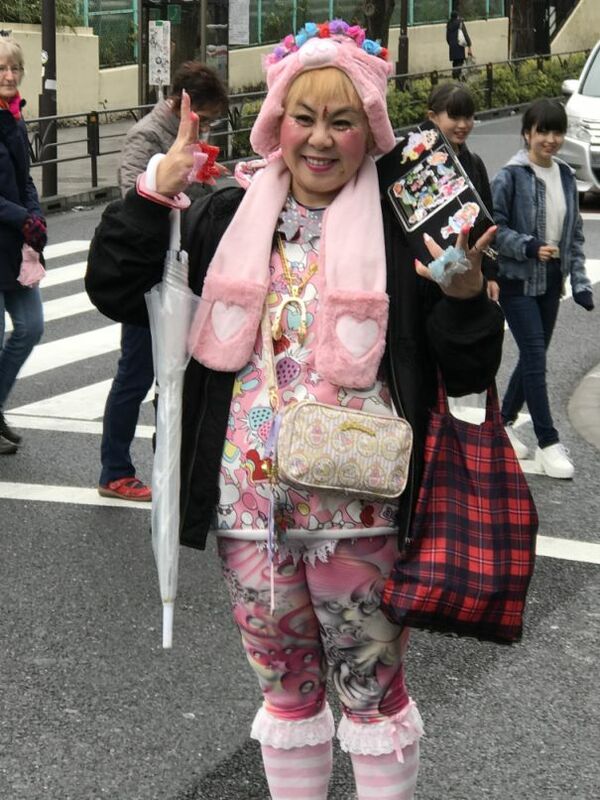 There are so many people asking to take a picture with this lady. She just was walking around, smiled, and posed for a lot pictures. 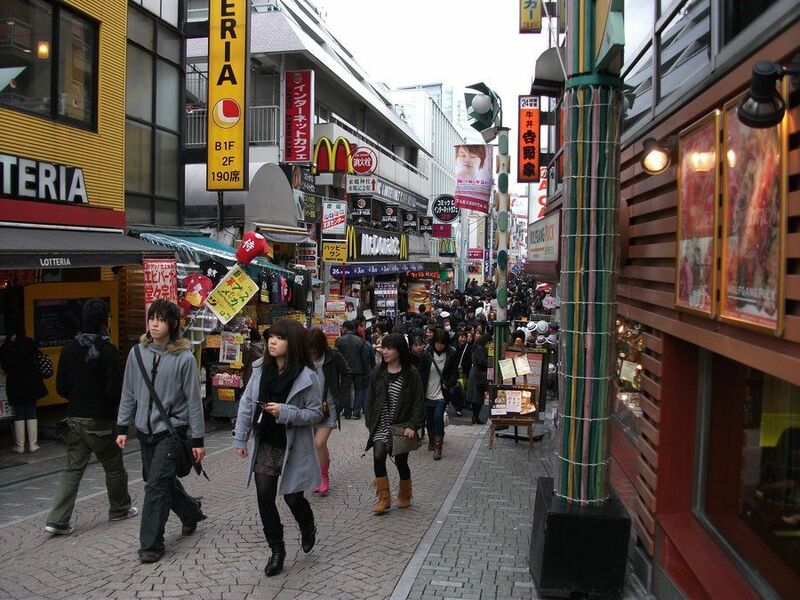 We are now on Takeshita Street, a short narrow street packed with shops. 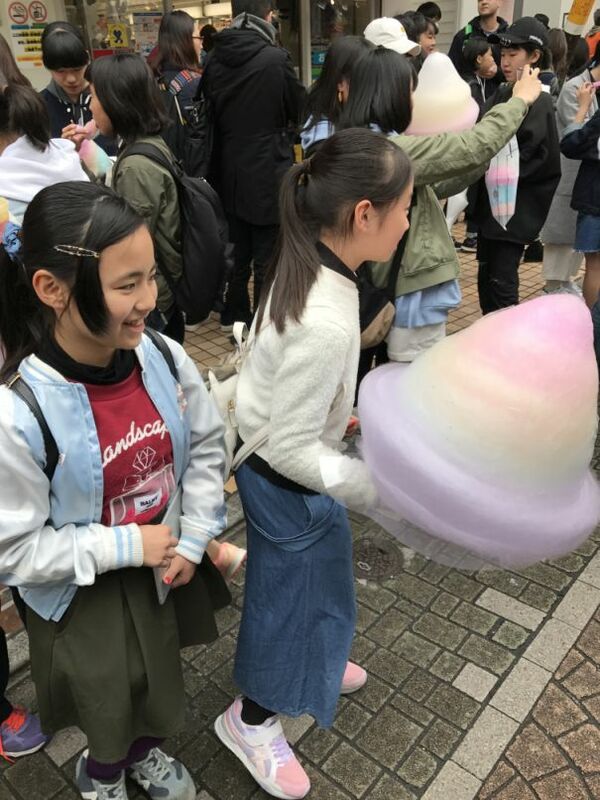 The street attracts mostly young shoppers and visitors to Tokyo. It loud, colorful and full of people. 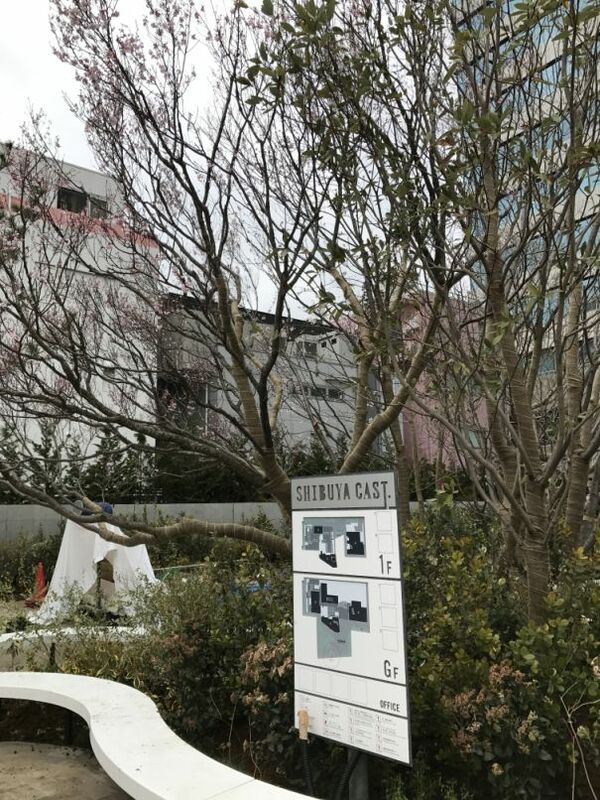 It used to be a place to go and purchase fake Japanese and American street brand goods from the early 1990s to 2004. 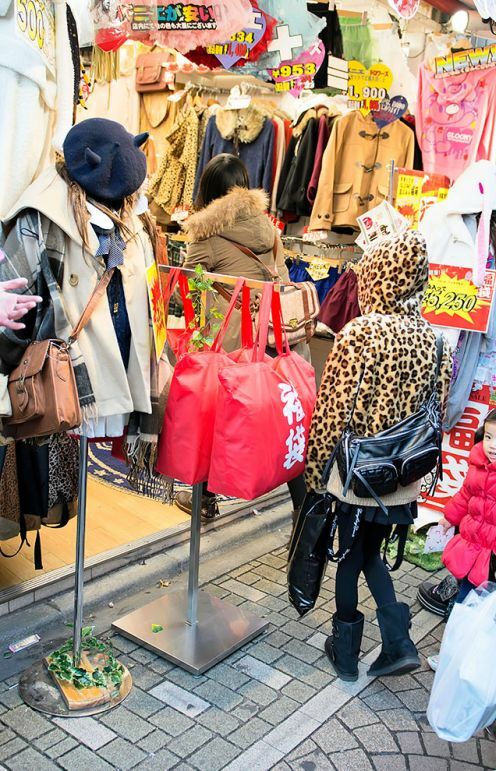 Since 2004, a stronger metropolitan government stance on counterfeit merchandise has led to a decrease of such items being available to the public. 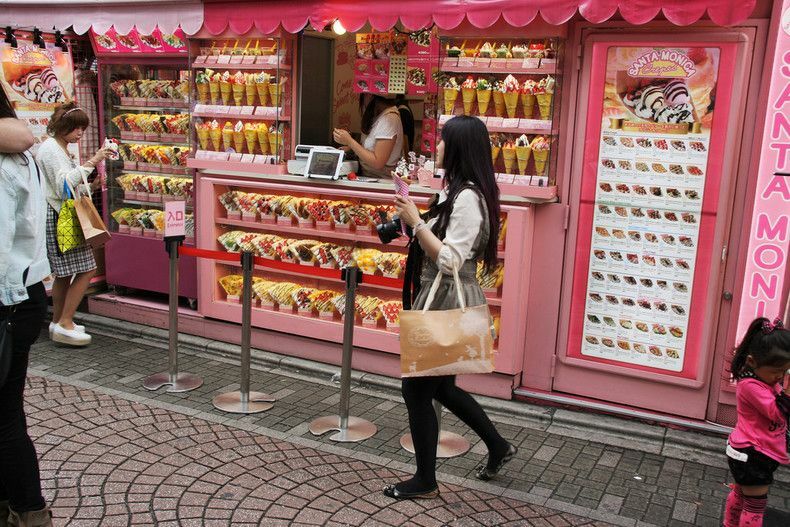 A store selling ice cream and crepes. 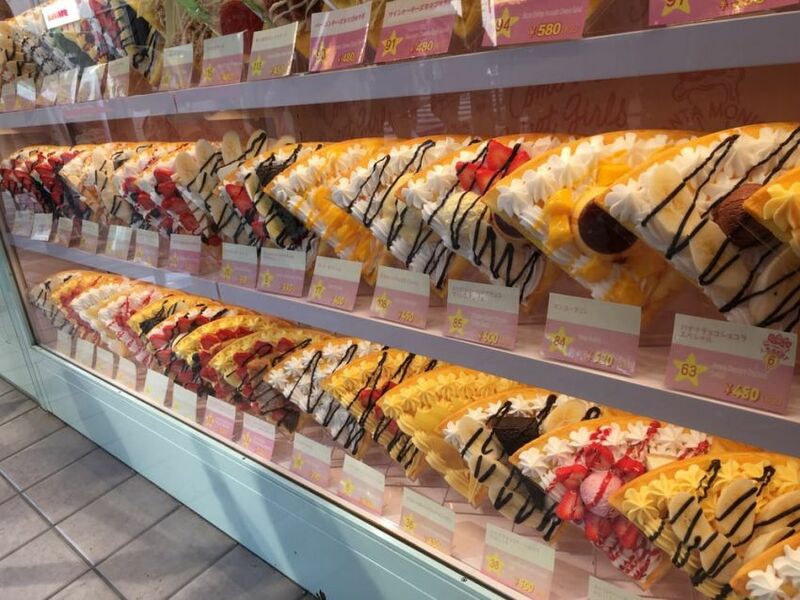 Display of all the different type of crepes available. 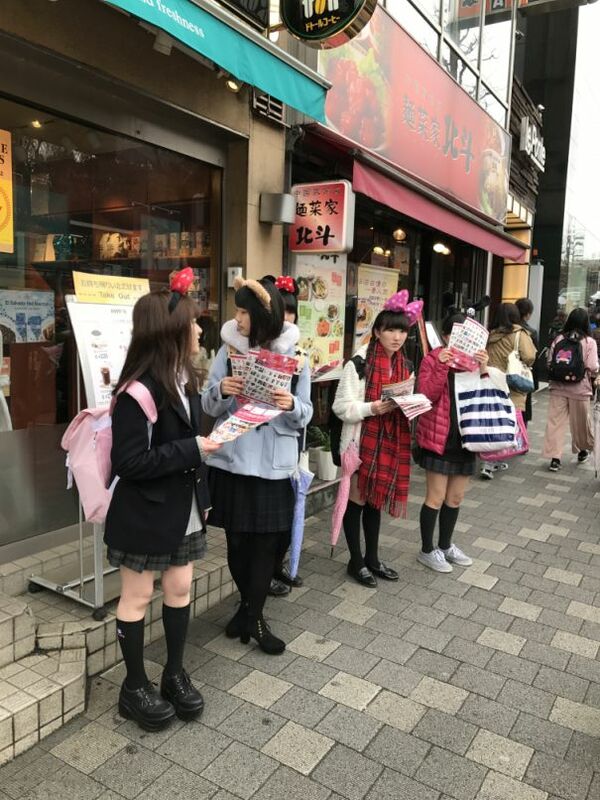 Must be a popular dessert in Japan as there are lot of people lining up to buy the treat. 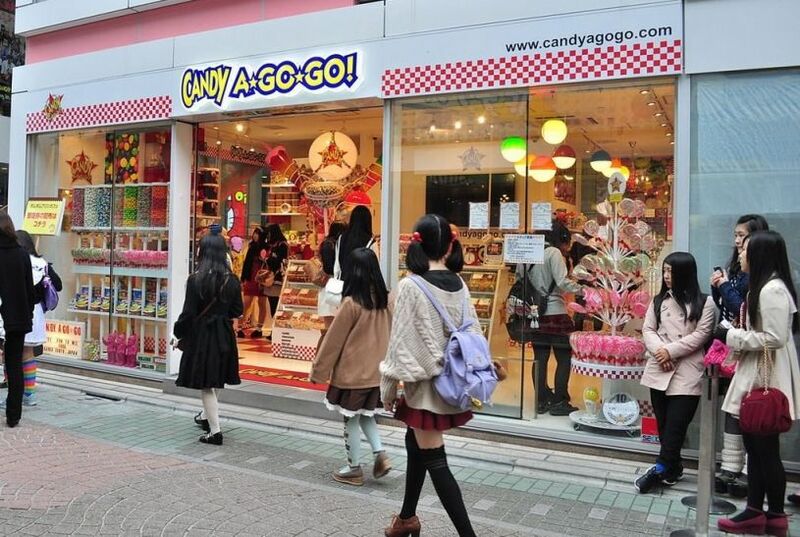 Candy store... lots of young people in this area. 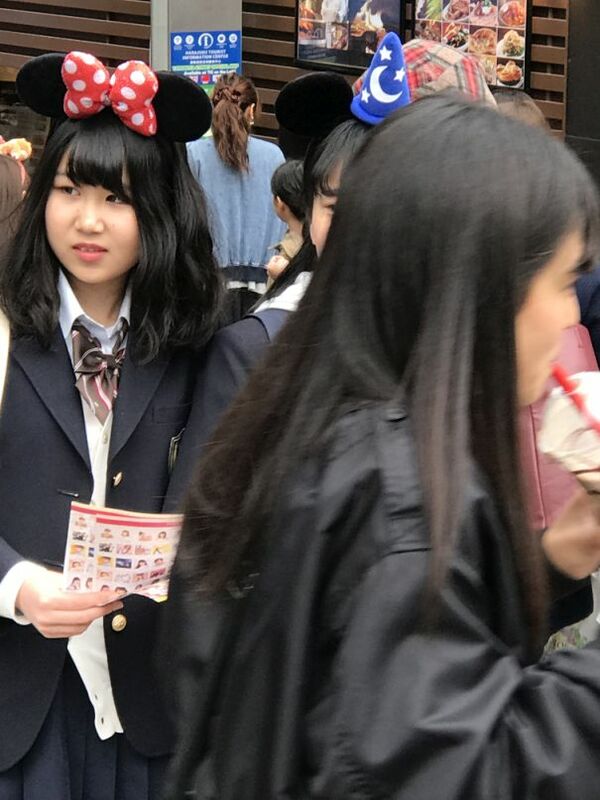 Cute girl with a mini mouse head band. 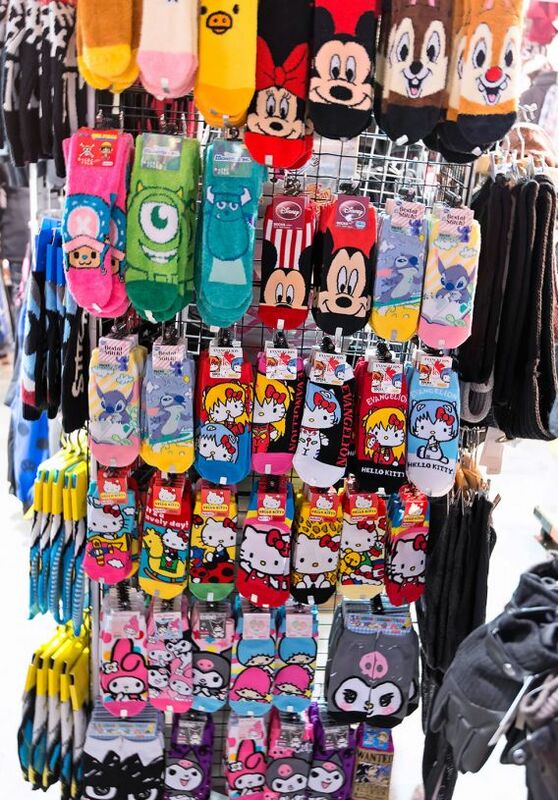 A store selling colorful socks! 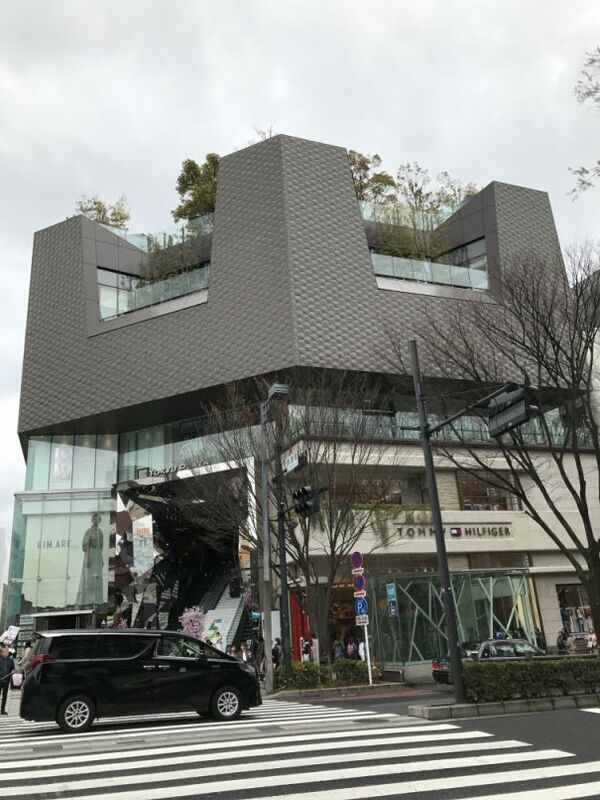 Omotesando is a zelkova tree-lined an avenue located in Shibuya known as one of the foremost 'architectural showcase' streets in the world, featuring a multitude of fashion flagship stores within a short distance of each other. 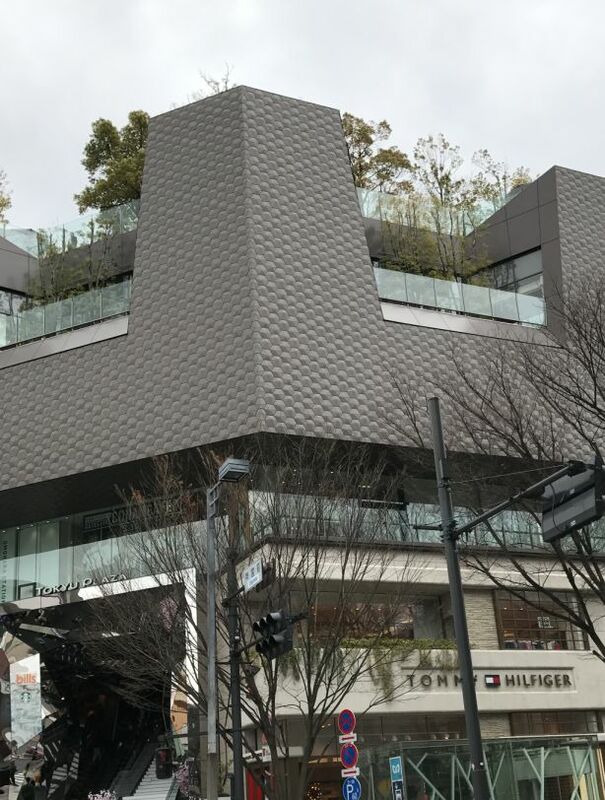 Interesting building, look at the rooftop. 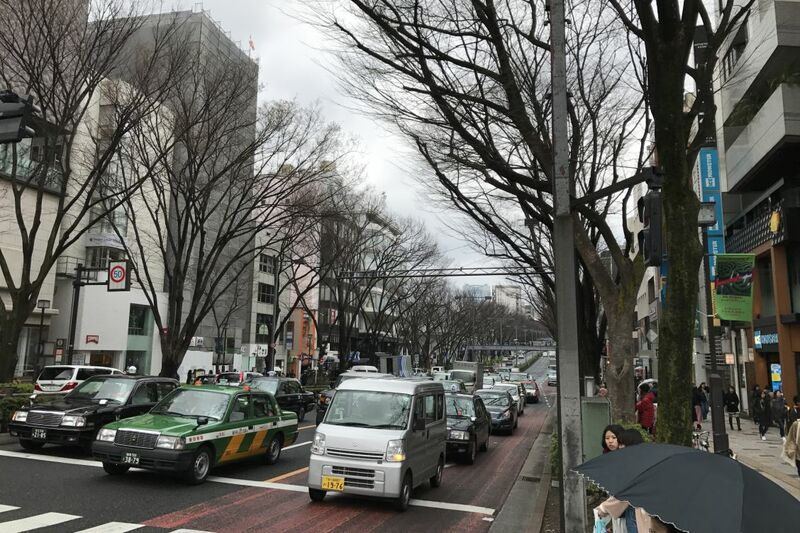 Omotesando dori, is often compared to the Champs-Élysées in Paris because it is a wide boulevard lined with trees. Lots of car and also lots of people walking around. 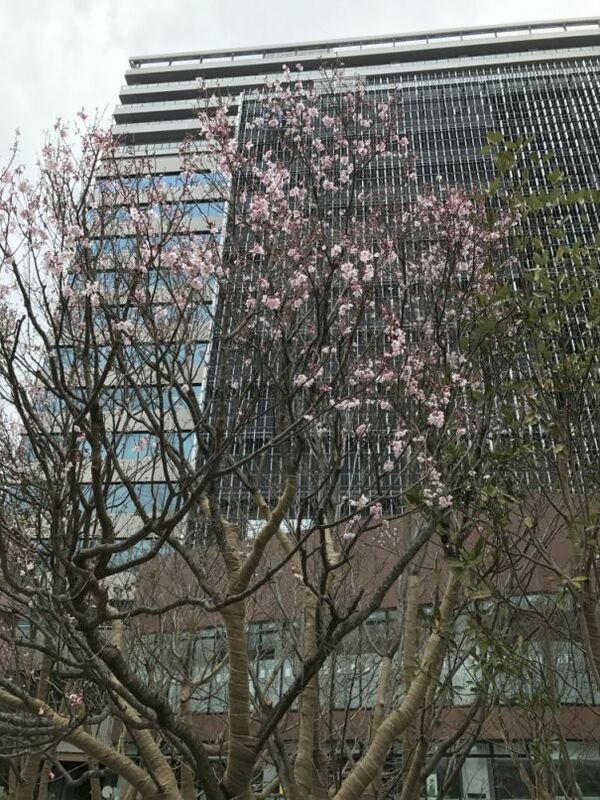 Shibuya Cast., The tall building are apartments and the bottom is a shopping center. 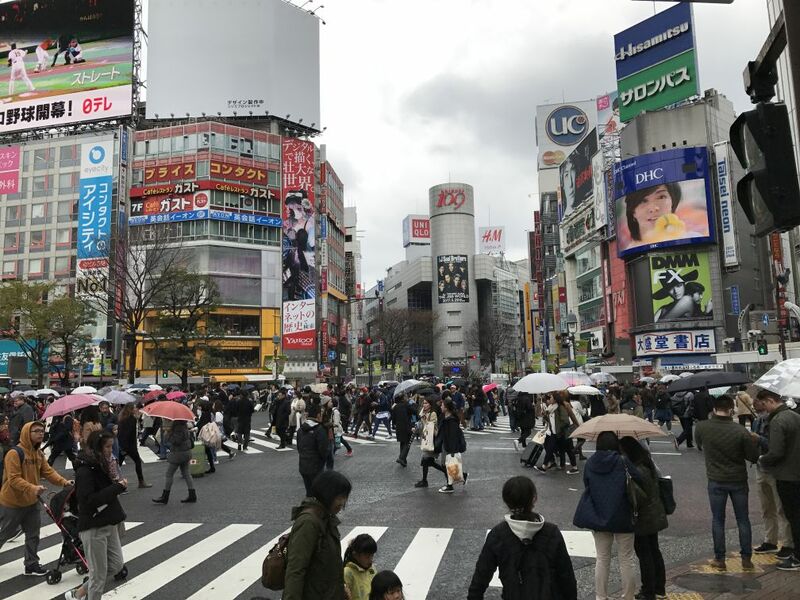 Shibuya Crossing is an extremely busy and famous pedestrian scramble crossing in the fashionable Shibuya district. 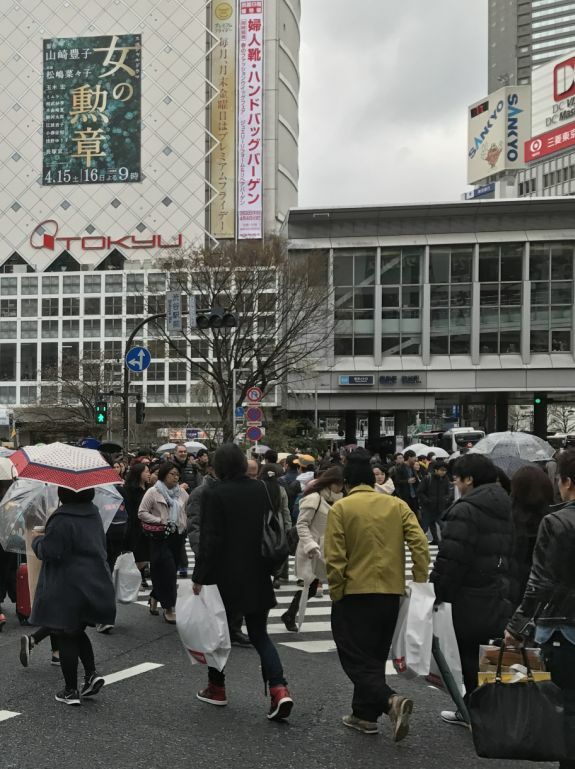 Shibuya Crossing is an iconic scene and frequently used to depict how busy Tokyo is. 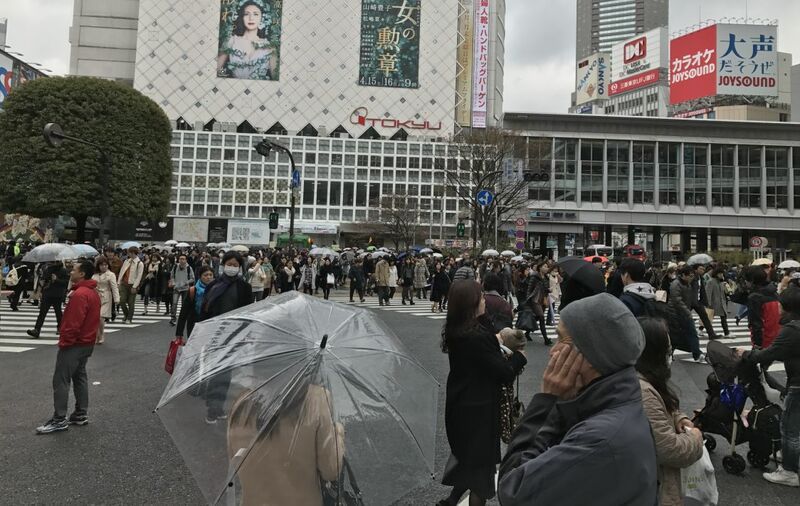 Shibuya Crossing, also referred to as Shibuya Scramble Crossing, is outside the popular Hachiko Exit of Shibuya Station. 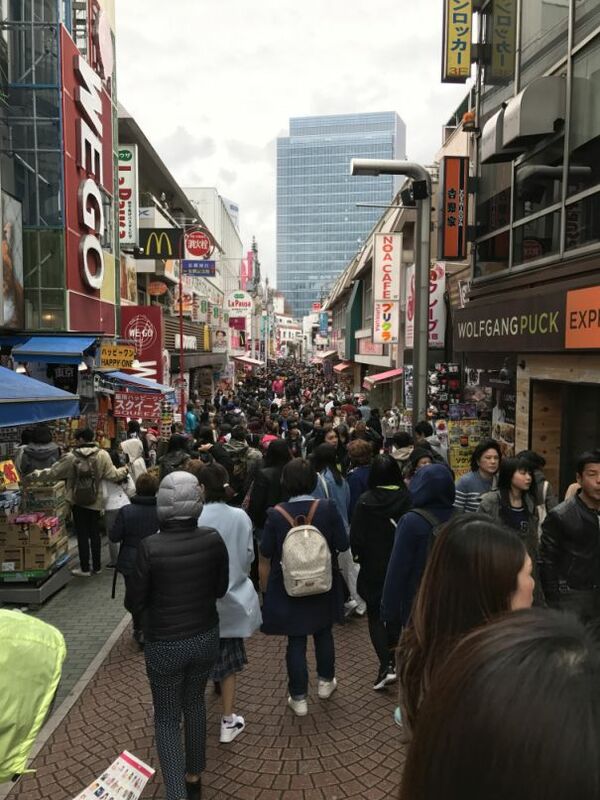 Shibuya is one of the major shopping districts in Tokyo so many people are walking between the various stores and shopping centers near the crossing. 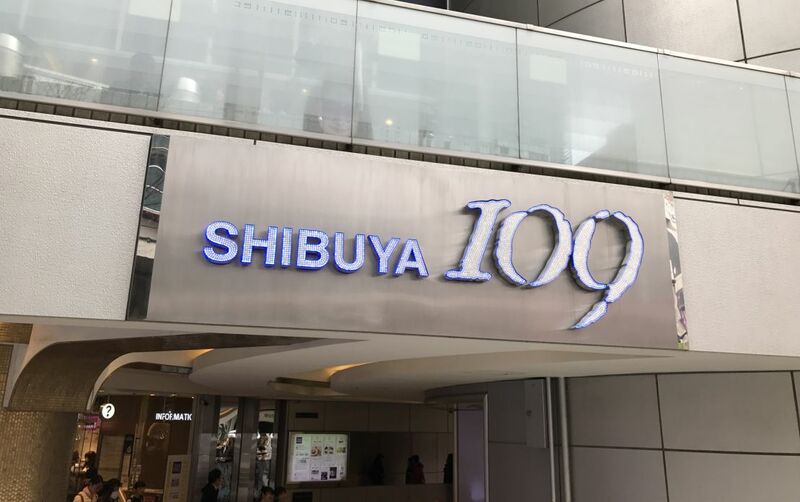 Shibuya is particularly famous for the fashion stores found in the district. 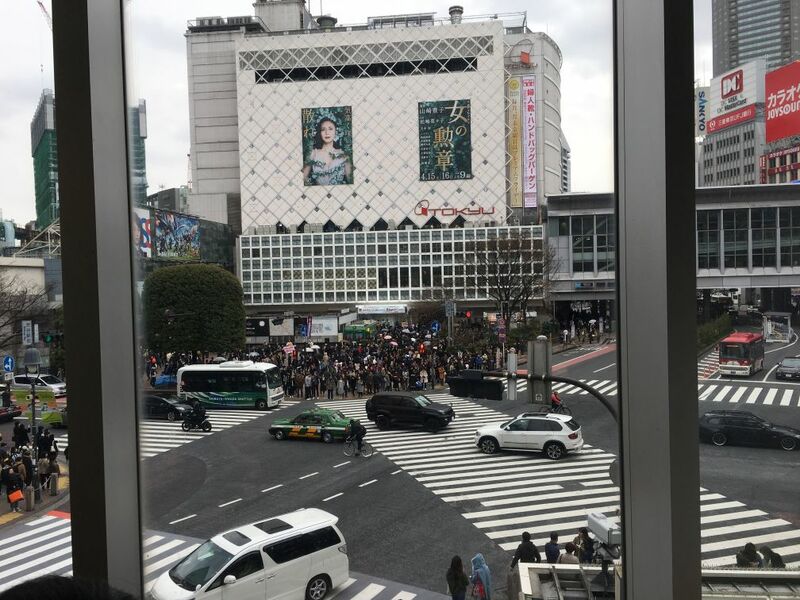 Many people are coming or going from Shibuya Station which is on one corner of the crossing. 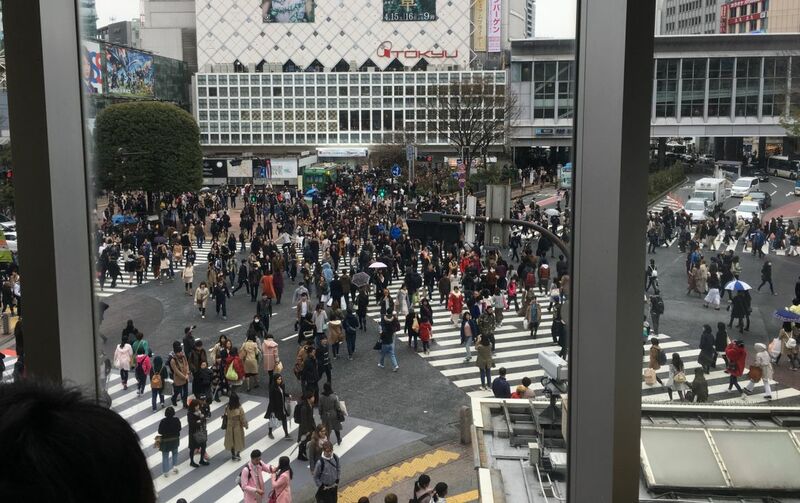 Shibuya Station is one of the busiest stations in Tokyo. People are walking in all different directions at the crossing. This is the same view of the street but taken on the 2nd floor of Starbucks. 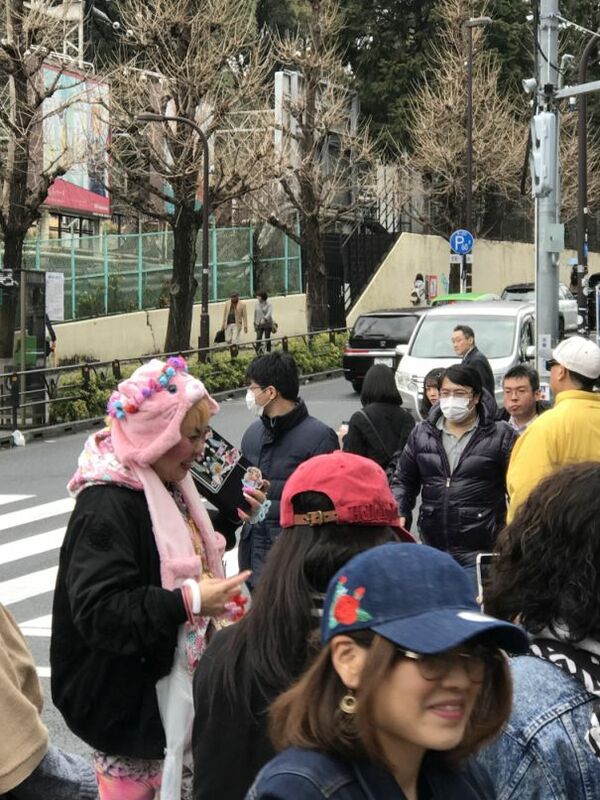 People are waiting to cross. Now you can see people crossing from 5 differents streets. 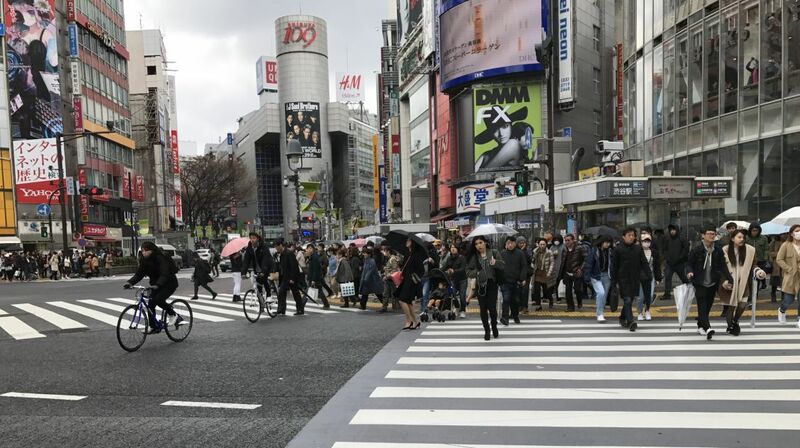 Pedestrian crossings like these are referred to as a scramble crossing as the traffic is stopped in all directions to allow pedestrians to walk in all directions (scramble) through the intersection. Additional terms for this style of pedestrian cross are diagonal crossing or exclusive pedestrian crossings. 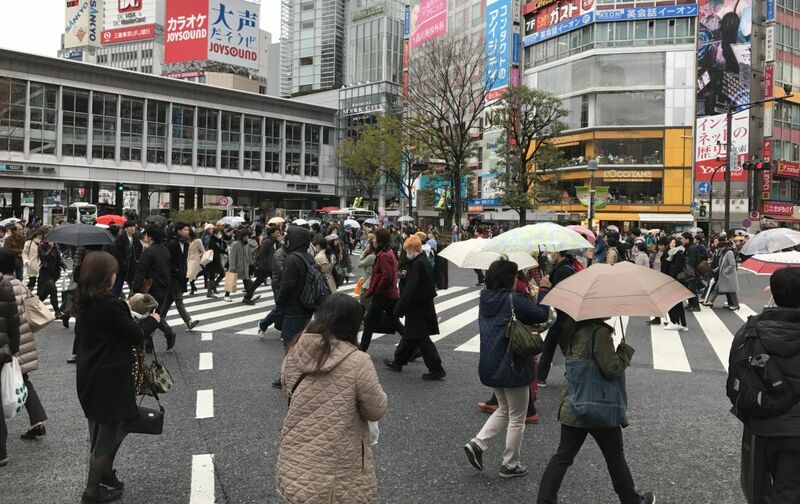 What makes Shibuya Crossing particularly unique is the crossing is the meeting of five roads in one of the busiest parts of the most populous city in the world. 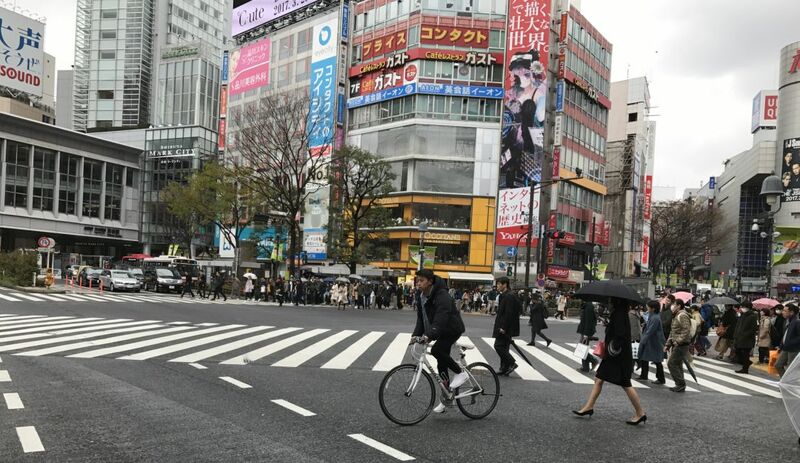 Busiest Pedestrian Crossing in the World. 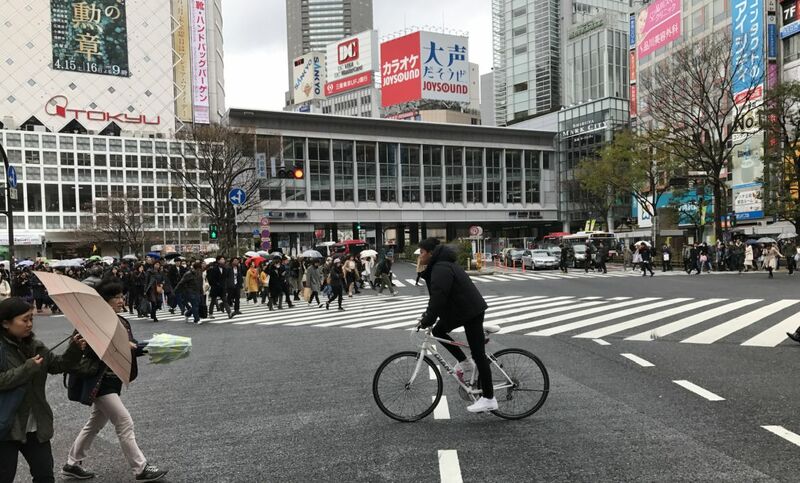 Up to 3,000 people use the crossing per green cycle. 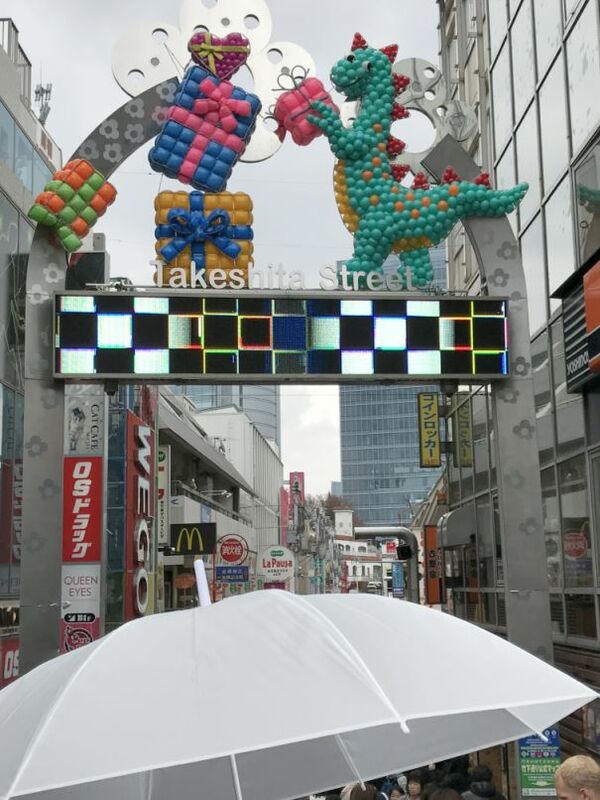 5 jumbo screens can be seen from the crossing. 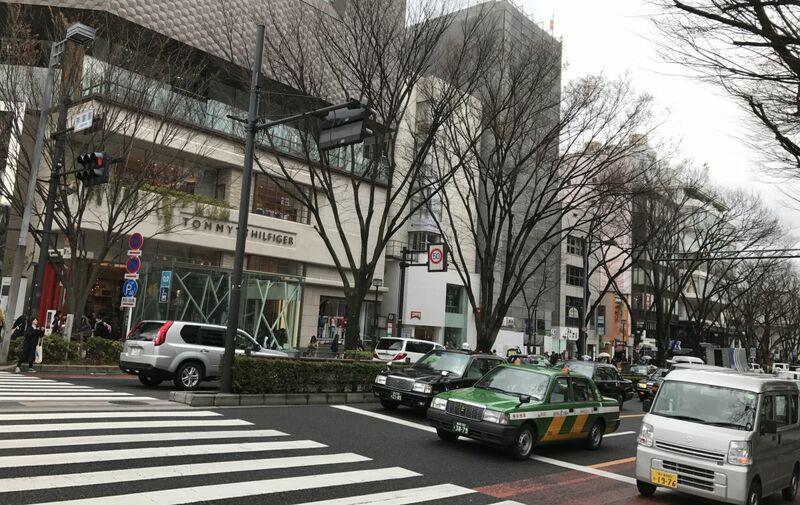 The busiest Starbucks in Japan is next to the crossing. 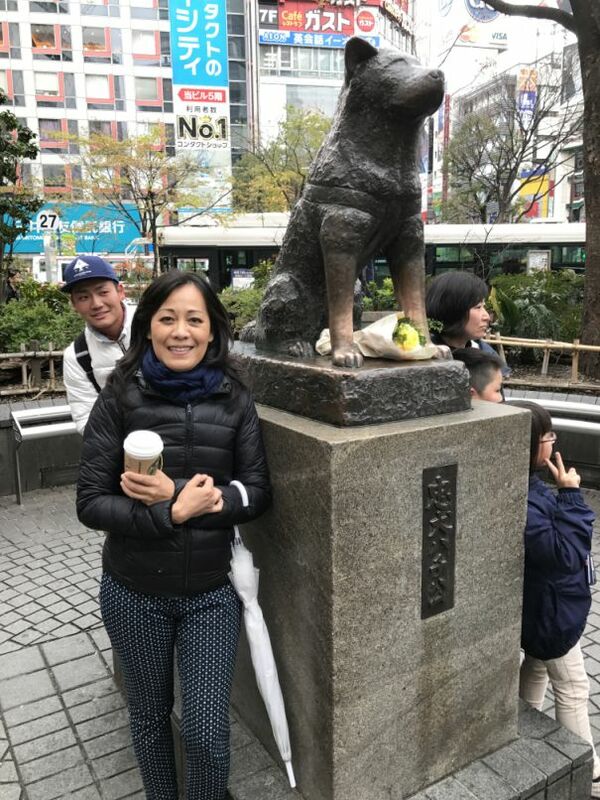 Hachiko Statue (Japan’s most famous dog) is next to the crossing. 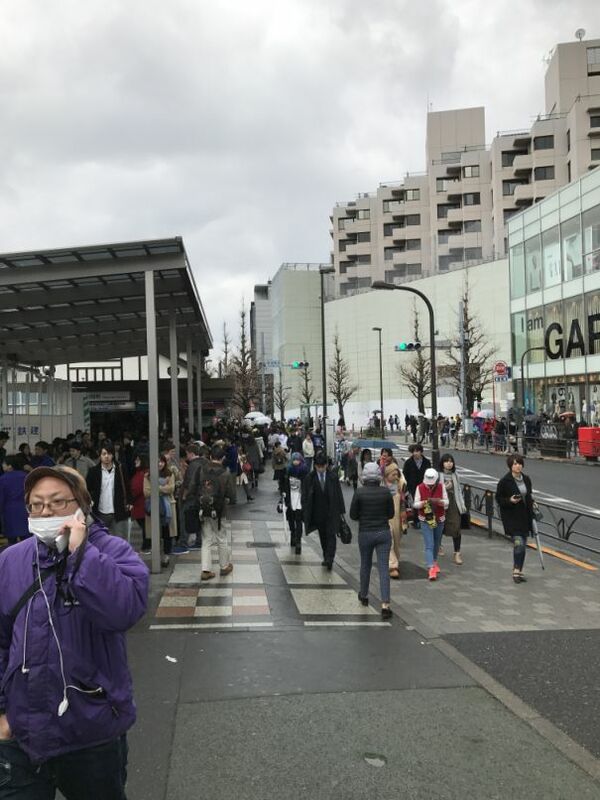 Shibuya station.. the busiest station in Tokyo! 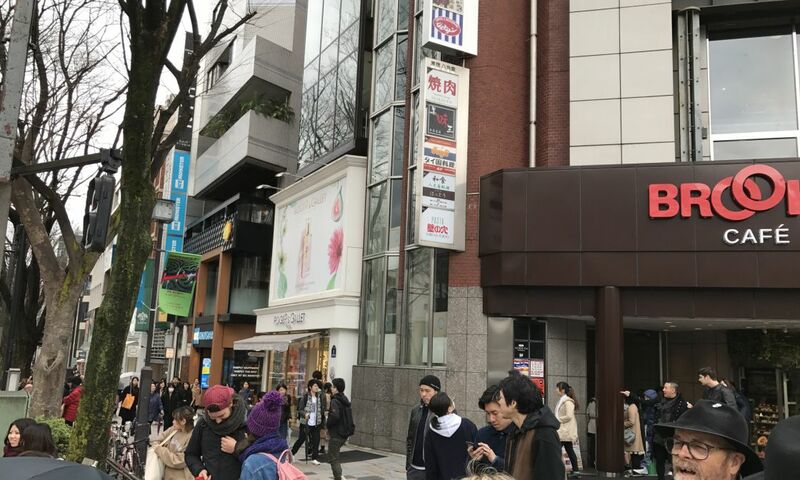 The Hachiko Statue in Shibuya celebrates the life of Japan’s most famous dog, Hachiko, and his legendary loyalty to his owner. 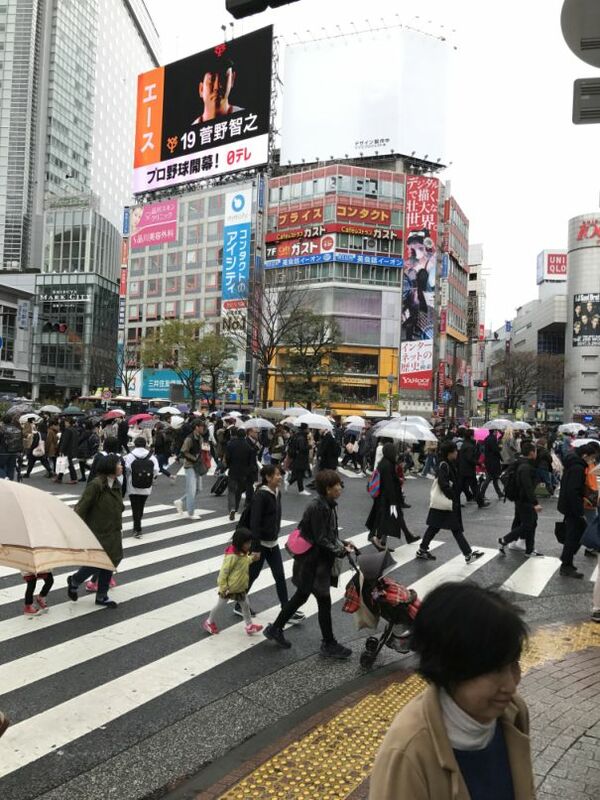 This Hachiko Statue is located next to the famous Shibuya Crossing and the very busy Shibuya Station. 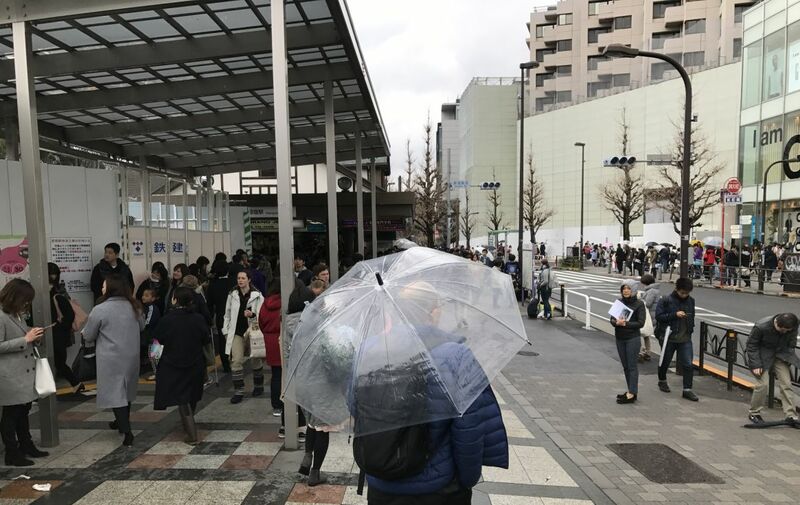 For more than fifty years this monument to Hachiko has retained its popularity as a tourist attraction and meeting place in this busy location. 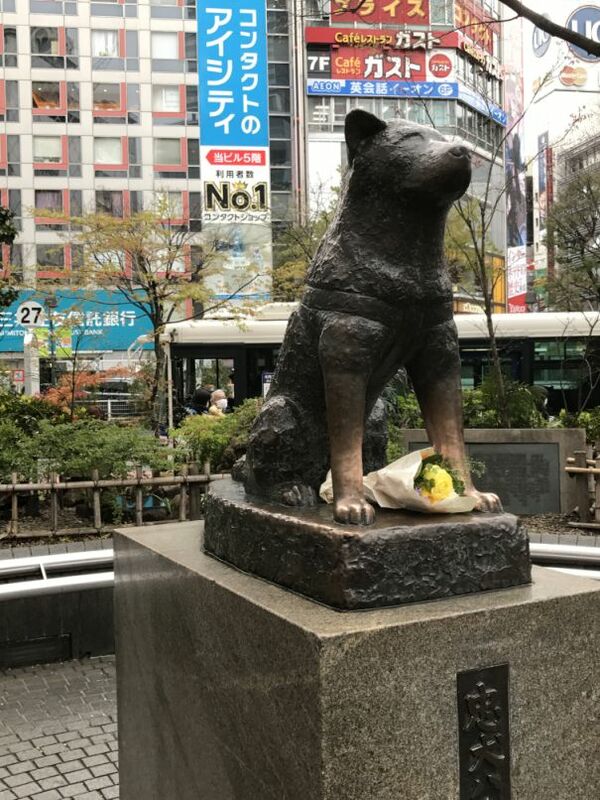 The true story of Hachiko the dog, who was a golden brown male Akita Inu (a Japanese breed from the mountains of northern Japan), who would arrive at Shibuya Station every afternoon just to wait for the return of his master Professor Hidesaburo Ueno. This pattern went on for just over a year, until one day in 1932 Professor Hidesaburo Ueno did not return. He had suffered a cerebral hemorrhage while away at work and died.